Here comes another year, and what better way to start your new year than auditing your website’s health. MOZ offers a short checklist created by Geoff Kenyon on how to conduct a technical audit. The items are specifically included to determine why the website is not getting organic traffic that it deserves. It is also broken down into difference categories to make the checking and changing the basic elements of the web design Philippines easier. Here it is. Conduct a simple mywebsite.com: search. Check the total number of pages Google displayed. Basically, your homepage should be the first result. There must be some issues (such as a Google penalty if the homepage fails to show on the results page. Review the total number of organic landing pages. Count the number of landing pages. Does it match with that of the site: search results? This gives you a good idea of which pages Google deemed valuable to the users. Again, your homepage (i.e. domain name) must be shown first. Check if the pages being shown are correct. If not, there must be some other issues such as a Google penalty or improper internal linking. Check your key pages on Google’s cache. Conduct a simple cache: mywebsite.com. Are contents showing up or not? Which contents are showing up? What about navigation links? Are they existing or not? Also, check for links that are not visible on your website. Examine the text-only version of the cached pages. Check is the site is mobile responsive. Conduct a simple mobile-friendly test. If it is mobile friendly, conduct a mobile search of your brand and main keywords. Are the landing pages mobile-friendly? Is Google showing a mobile-friendly label next to your website (that is, if it is already mobile-responsive)? Check if the title tags are optimized. Title tags must be unique and optimized. And, the brand name must be in the title tag. Title tags should be between 55 and 60 characters to be fully displayed. Check how Google displays your title tag. Review the site if there are missing title tags. Check if the important pages are optimized and have meta descriptions. Check if there are any missing page titles and meta descriptions. Check if the contents have primary keywords or key phrases mentioned organically. The primary keyword must be in the H1 tag. Are there alternate keywords or key phrases used? Are there variations? Check if the contents are 100% unique. Check the images’ file names and alt text. Do they include the keyword that the page targets? Check if the URLs are optimized and descriptive. Are the URLs clean? Are you serving static URLs? Are the URLs short enough? Shorter URLs, say 115 characters, tend to result to better usability. Check is the homepage content is optimized. Does it contain at least one paragraph? Homepage should contain at least 150 words to explain to the search engine what the page is all about. Check if the landing pages are optimized. Do they contain two or more paragraphs? Landing pages must be at least 500 words so search engines would understand what the pages are about. Are the contents 100% unique or are they using a template text? Check if your website contains real, informative and substantial contents. Are there pages that contain a list of links? Are the facts or figures stated verifiable? Are the contents driving the visitors to convert? Check for proper keyword targeting. Determine if the intent behind the keywords used matches the intent of the landing pages. Scrutinize the pages for head terms, mid-tail and long-tail keywords and key phrases. Are there pages that use head terms instead of long-tail keywords? Conduct a simple mywebsite.com: search for your important keywords (e.g. mywebsite.com: search “keyword 1”). Pages that targeted such keyword must appear in the results page. Are the contents properly and consistently formatted? Do the contents include the right H tags and images? Are the headlines on your blog posts are well-written? Are they enough to draw the visitors to explore the site further? Are there any ads above the fold? Remove and replace them with contents. Check the URL of each page. Rule of thumb: one rule for each page. Determine if the URLs include tracking codes or parameters as they result in multiple URLs. Check the content snippets by doing a branded search (e.g. mywebsite.com + “Article Title”). There should be one URL showing the snippet. Are there any scraped contents on your site? If there are, ask Google to remove it by filing a removal request. Review if there are similar contents on sub-domains. If you have multiple domains, check if some of the contents are replicated in those domains. Check if the contents serve print-friendly version of the page. These pages also cause duplicate contents. Check if the contents exist on a secure site version. Is the entire site or some of its pages been blocked? They should be turned off. Are the navigation links workings? Determine how search engines see your website. Check if 3xx redirects are properly used. Determine if the redirects are pointing directly to the final URL. Simply, avoid redirect chains. Scrutinize the website if there are any bad redirects. Is a canonical version of the site established? Check for 4xx and 5xx errors. Is there an XML sitemap? Is it listed in the robots.txt file? Is it already submitted to Google Webmaster Tools? Check for meta robots noindex tag. Inspect all the pages if they are accidentally tagged with noindex command. They shouldn’t be. Alternatively, inspect all the pages that should have noindex tags. Check if links are included on the relevant contents. Check whether the anchor texts are relevant to the linked page. Check the number of links on each page. Rule of thumb: about 100 to 200 links are okay (not a hard rule though). Check whether a vertical linking structure exists. Is the homepage linking to category pages? Are category pages linking to sub-category pages appropriately? Are product pages linking to the relevant category or sub-category pages? Check whether a horizontal linking structure exists. Are the category pages linking to other relevant pages? Check if the contents are being pulled in via iFrames. Check whether the rel canonical link tag is properly implemented. Check if your site is using absolute URLs and not relative URLs. Check the page load time of each page on the site (if possible). Check whether compression is enabled. Check if caching is enabled. Check if the hosting provider is having some issues. Check if the images are optimized for the web. Check the synergy between the desktop site and mobile site. Determine if the experience matches with the intent of the mobile users. Check and remove if there are faulty mobile redirects. 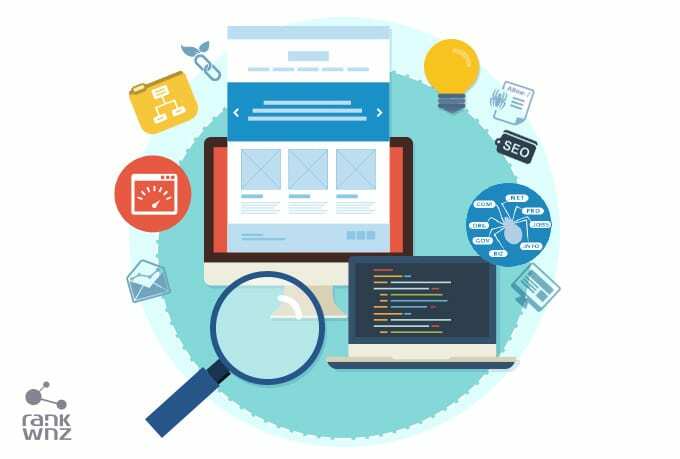 With this checklist, you will be able to check and correct issues around the main technical elements of your website. The audit will result in solutions to make your site perform better. If this is too much and too technical a task for you, you may hire specialists to check your site for you. Any specialist can outline the problems of your site and provide detailed recommendations. He himself can implement the recommended suggestions.